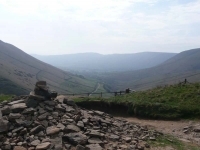 After an excellent breakfast I was well fuelled for the first stage of the Pennine Way. I was up and about early but from the window of the breakfast room I had already spotted one person who looked likely to be on his was to Kirk Yetholm. 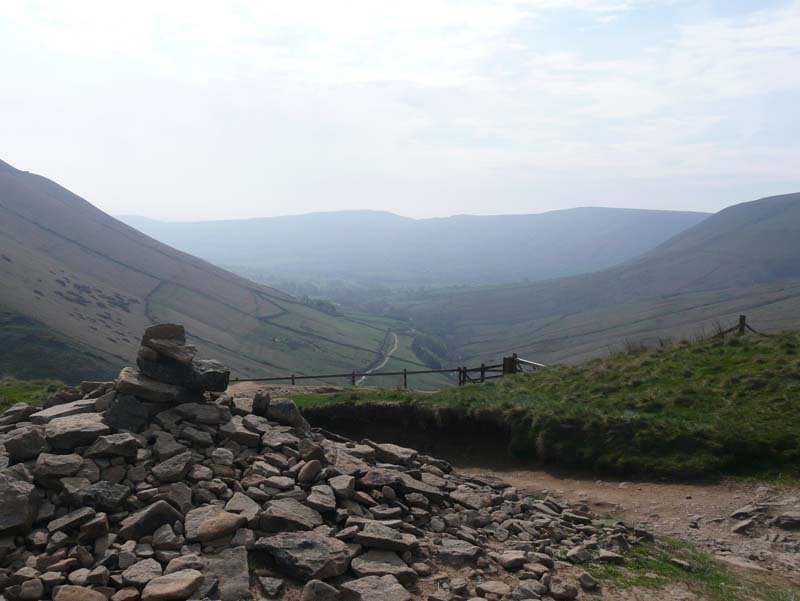 It was an easy path out of Edale (passing the Old Nags Head pub), through Upper Booth, to Jacob’s Ladder a short sharp climb on the was up to Kinder Scout. As I got higher the views got better and better, despite the hazy conditions. 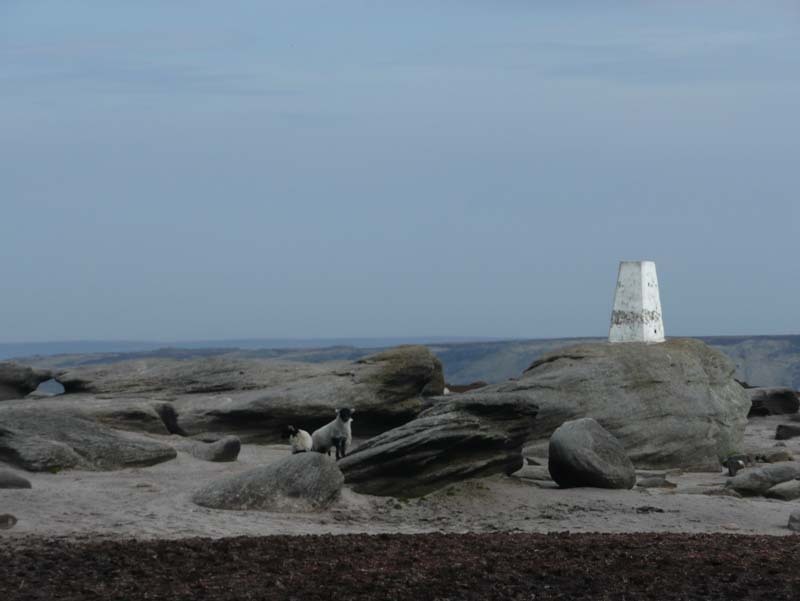 I did not stop at Kinder Low, the trig point looked well guarded by a group of lambs, and I continued on and around Kinder Downfall. It was here that I caught up with the 2 people who I had spotted occasionally in the distance ahead of me. 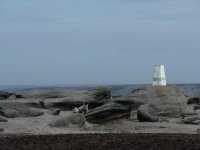 They had stopped for a break, one chap was set on doing the Pennine Way while the other had already done over 500 miles from Lands End and had his sights set on John O’Groats in another 5 weeks. I felt exhausted !! 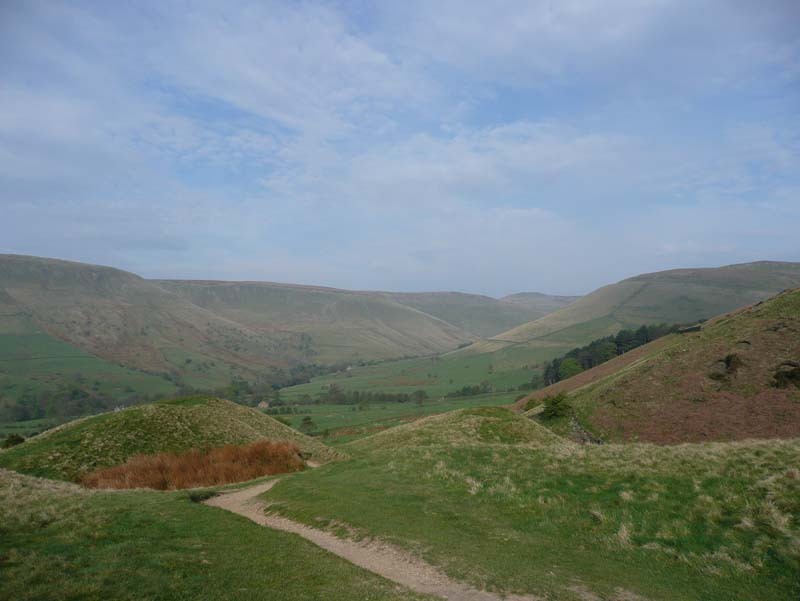 but joined them for a little while up to Mill Hill (there is no mill and it isn’t much of a hill either). 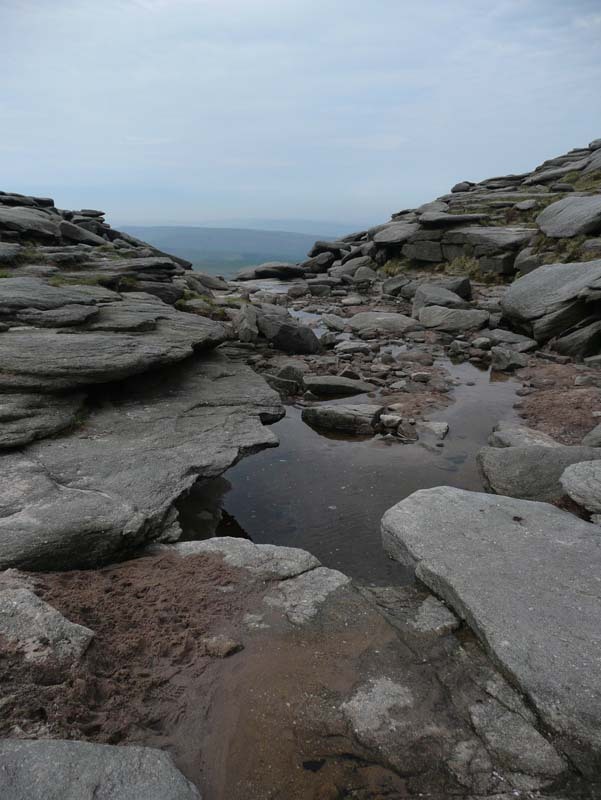 From Mill Hill to Snake Pass the walking was very easy with slabs having be laid across the peat all the way through Featherbed Moss. 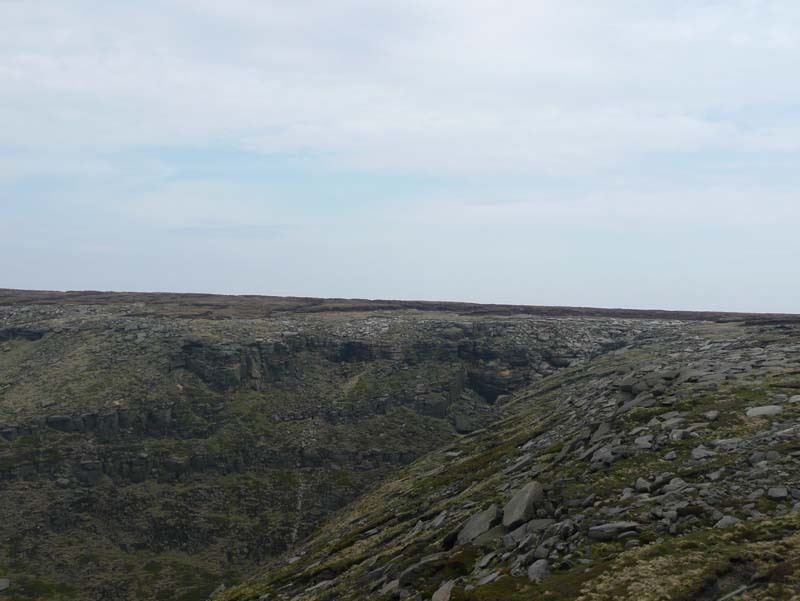 I dreaded to think what the area would have been like without the slabs, though I was about to get an idea after crossing the road and heading up to Bleaklow Head. The stretch about Bleaklow Head was most disorientating, after following little more than a path; come stream; come bog; often set deep in peat lined ravines. 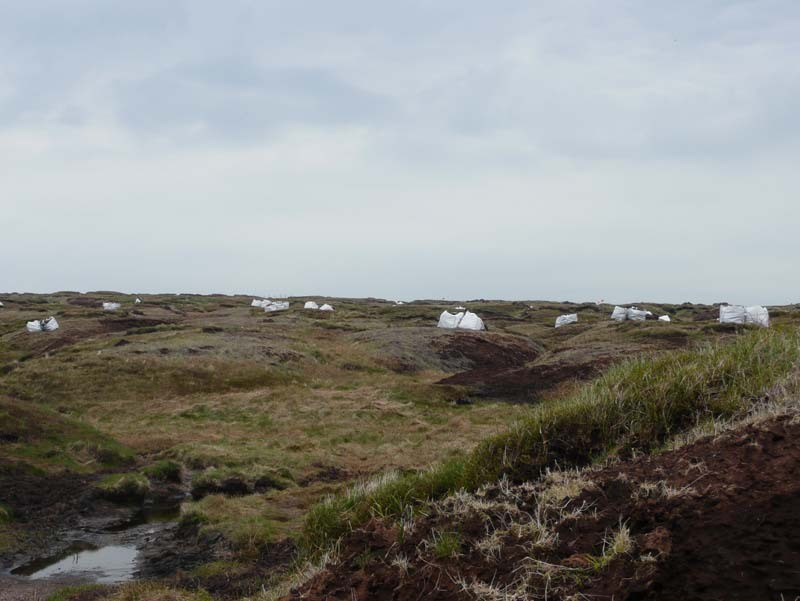 In some areas lots of conservation work was in progress, stabilizing the peat and restoring the grass and heather – large bags of clipped heather bales were strewn across the landscape, and a notice suggested that seed is scattered across the ground by spreader hung underneath a helicopter. 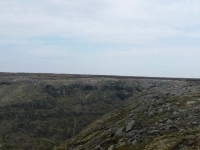 Walking away from Bleaklow Head, Torside Clough came into view with its steep escarpment valley sides giving a great view over Torside Reservoir and the way ahead for tomorrow. 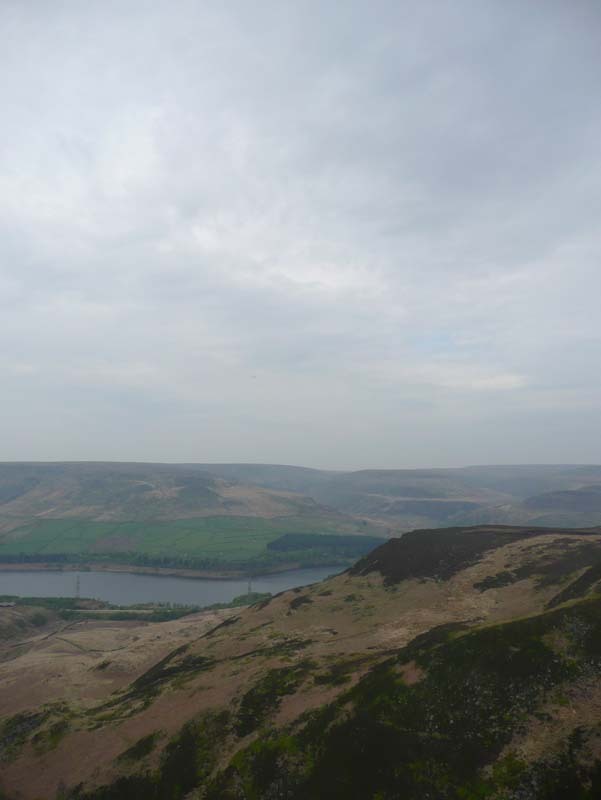 Having made it down beside the reservoir the B&B was just a short walk along the road.